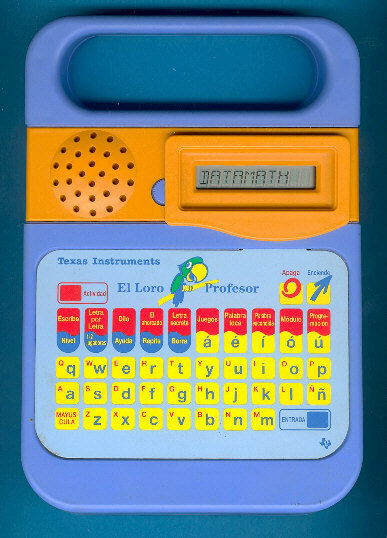 The English speaking sibbling of this Spanish talking El Loro Profesor was called Super Speak & Spell, too. Two extension modules were available with a total of 600 new words. With the similiar El Loro Parlanchin we know a second Spanish speaking Super Speak & Spell. Judging from the codes found on the Speech-ROM's the El Loro Profesor seems to be the successor of the El Loro Parlanchin. © Joerg Woerner, September 25, 2002. No reprints without written permission.